As highly respected acne and Cosmetic Dermatology Specialists, our staff have a wide variety of products at our disposal to help those in the Toronto area become acne-free. While there are many different acne products on the market, they are not all created equal. For a person’s first case of mild acne, any of these products may well prove effective. Some who have repeat cases of acne may also find an over-the-counter product that works for them every time. If you have found such a product that clears up your rarely occurring mild acne, then you may have just what you need. Because acne affects such a wide variety of people–men and women, teens and adults–most people struggle to find the right acne products for them. One may be effective for the short-term only to have acne reemerge almost as soon as product use stops. In other cases, people may go through small fortunes before finding a product that provides even temporary relief. The reason for this is that acne causes and cases can vary widely, requiring very different solutions from one person to the next. Rather than continue your search for a product that works for you on your own, why not turn to an Acne Doctor who has provided long-term solutions to hundreds of patients? The Cosmetic Dermatology Specialists at Toronto Acne Clinic have used many different types of acne products on their patients, including those that we apply in our office or those that applied for home use. 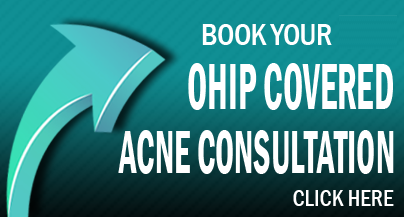 If you are tired of looking for the right acne products for your skin, call today to set up an appointment at one of our 9 locations around the Greater Toronto Area.